Just finished snow blowing for the first time this season. The Armor Skids are wonderful. 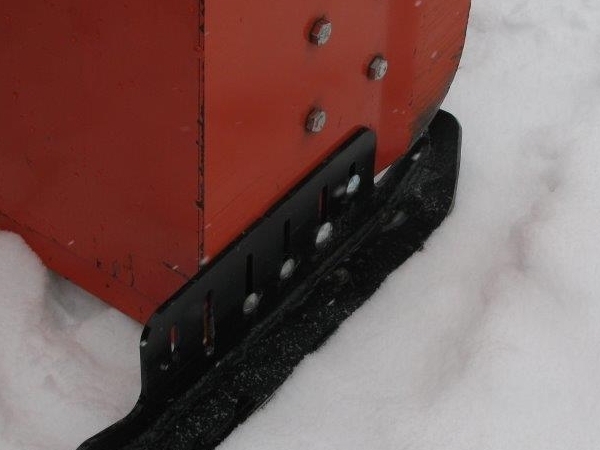 I can’t believe how great the snow blower floats and glides over the gravel road, no more digging in the ground. 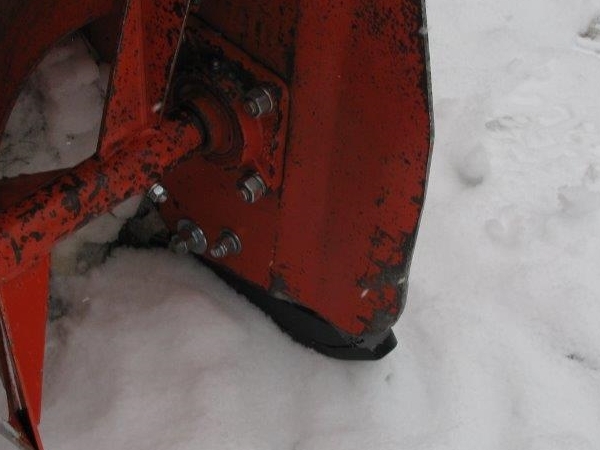 The blower doesn’t require as much force to move now and there is more horsepower available to spin the impeller, therefore snow removal is much easier and the unit throws the snow further. I’ve have three photos attached to show how I mounted the shoes. No problem at all attaching them. I have attached so the shoes are completely reversible with no problem. 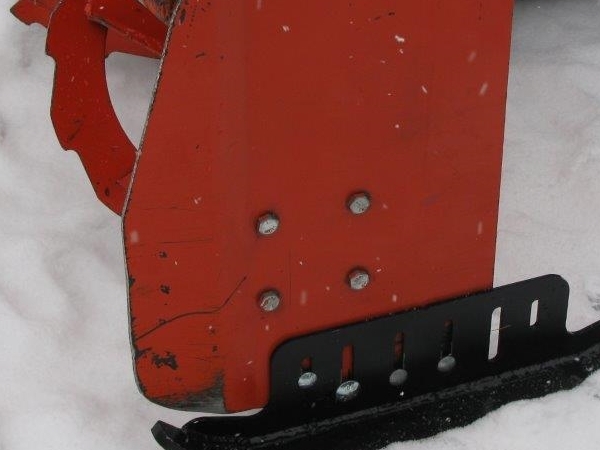 I attached using the 2 1/8″ Kubota B2782 (63″) unit spacing with the 3/8″ bolts, then added a third 3/8″ bolt and a 1/2″ bolt. Skids are fully adjustable and do not move. I bang the blower around a lot and the skids hold firm. The storm I used them on was a 12″ wet cement snow—-no problems. Ground was still not frozen in some areas but the shoes still floated without digging. Sorry it took so long to get back to you, But this is the first time I used the blower this season.